The Bahamas are a great vacation destination at any time of the year. The locals are friendly, the beaches are fantastic, and the recreational opportunities are endless. This is a wonderful place to visit whether you're alone, with friends or your sweetheart, or with family. The town of Marsh Harbour, a community with about 4,000 residents, is one of the best-kept secrets in all of the Bahamas, and here is where you can enjoy a timeshare at the luxurious Abaco Towns by the Sea resort. This resort features townhouse-style condo units, all of which are two-bedroom in design. There are plenty of on-site amenities, and the beachfront is just a stone's throw away. Buy one of these Abaco Island timeshare resales, and you'll have a piece of paradise to call your own for years to come. 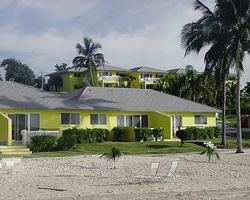 Abaco Towns By The Sea buildings are one- or two-story and have a limited number of guest units per building. All suites are two-bedroom in configuration and feature a huge master bedroom with a king or queen bed, a second bedroom with double or twin beds, and a huge living room with a pull-out sleeper sofa. Maximum occupancy is six individuals. 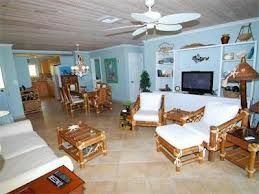 Each condo-style timeshare has a kitchen, a full bath with shower and tub, and a living room entertainment system. The guest suites are air-conditioned, and all linens are furnished. Wi-Fi is complimentary, and housekeeping services are available. 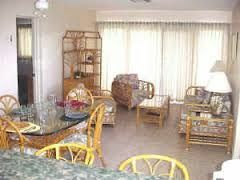 Each unit is within walking distance to the reception desk, the swimming pool, and the beach. 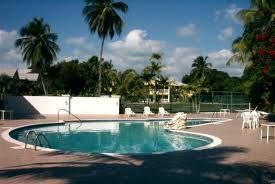 The Abaco Towns by the Sea resort has an on-site swimming pool, business center meeting room, and a poolside bar. There's also a nightclub and full-service sauna. On-site are sports courts configured for tennis, volleyball, and basketball. Nearby is the center of the town of Marsh Harbour, and here guests will enjoy the multitude of fine restaurants and nightclubs, gift shops, and recreational gear outfitters. The white-sand beaches are the place to go for swimming, sailboarding, and snorkeling. The resort itself has a full-service rental center, and guest can rent paddleboards, surfboards, and even personal watercraft. Of course, the Bahamas offer even more in terms of recreational and sightseeing. Guests can plan an inter-island trip that includes boat tours and fishing packages. This piece of paradise can be yours with one of the discounted Abaco Island timeshare resales available here at BuyaTimeshare.com. Contact Abaco Towns by the Sea Specialist Today!